There seem to be many comic fans who know and like Black Panther but have not read too many of his comics. They know him from his tie ins with the Avengers or from paling around with the Fantastic Four. This is too bad as Black Panther has really interesting and fleshed out mythos that includes some spectacular villains. Who are these bad guys? They include some classic super viilains as well as villains with more relevence to modern current events. Here is the Toylab ranking of the top Black Panther villains that includes some classics as well as some new modern threats. Who are the toughest Black Panther villains, Which Black Panther villain is most Evil, and Who is Black Panther's true nemesis? Lets go through the list and find out. Morlun is much more known as a Spider-Villain but the eater of totems also made a stop in Wakanda. He devoured a few Wakandan totems before coming to battle Shurri the then Black Panther. Shurri being the sister of T'Challa and filling in during his absence. Morlun ranks fairly low on the list because I still see him more as a Spider-Man villain. He is however one of the strongest and most powerful villains on this list. Moses Magnum has appeared as a villain many times throughout his time in the Marvel universe. He had a major story in the pages in of Deathlok where he attempted to take over Wakanda. He was thwarted through the combined might of the Black Panther and Deathlok. For more on Moses Magnum - CLICK HERE! Tetu is a Wakandan challenger to the Monarchy who has used his powers to create a terrorist backed uprising that bears resemblance to modern terrorist groups such as ISIS. 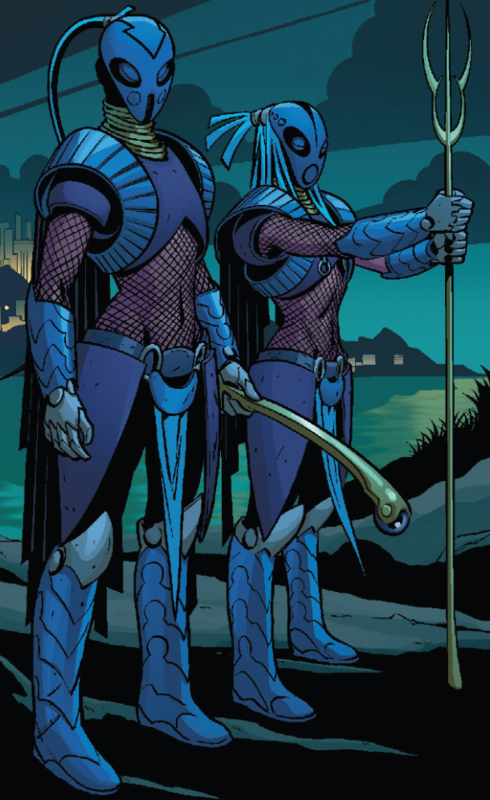 Former loyal members of Dora Milaje the Midnight Angels break apart and rebel against the royal government after they become disillusioned with the rule of T'Challa. Zenzi is a former experiment of Erik Killmonger who finds a new place in helping a coup against the Black Panther. 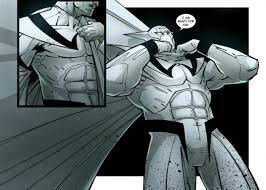 The White Wolf is T'Challa's adopted brother whose hardline take against rebels forces T'Challa to make a hard choice. The clever and terrifying Achebe is genius strategist and entirely insane. For more on Achebe - CLICK HERE! 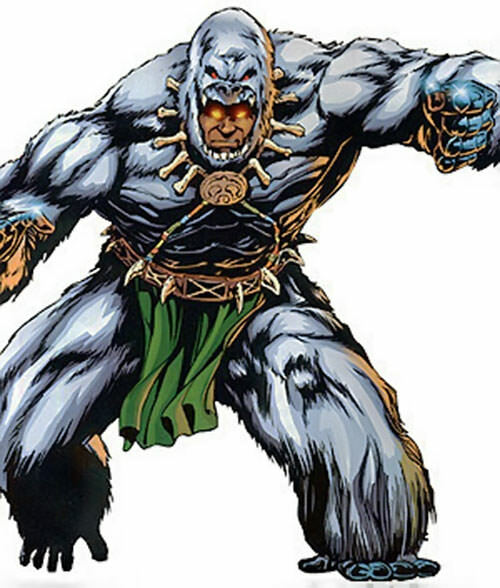 The Man Ape is one of the Black Panther's oldest classic villains. He can be a little cheesy but all Black Panther fans love to see the two super powered African warriors battle. Klaw is a threat to both Wakanda's resources as well its resources. He forces the Black Panther to question how much his country must change in order to defend it self from outside threats. With every decision T'Challa makes he is judged by Erik Killmonger. 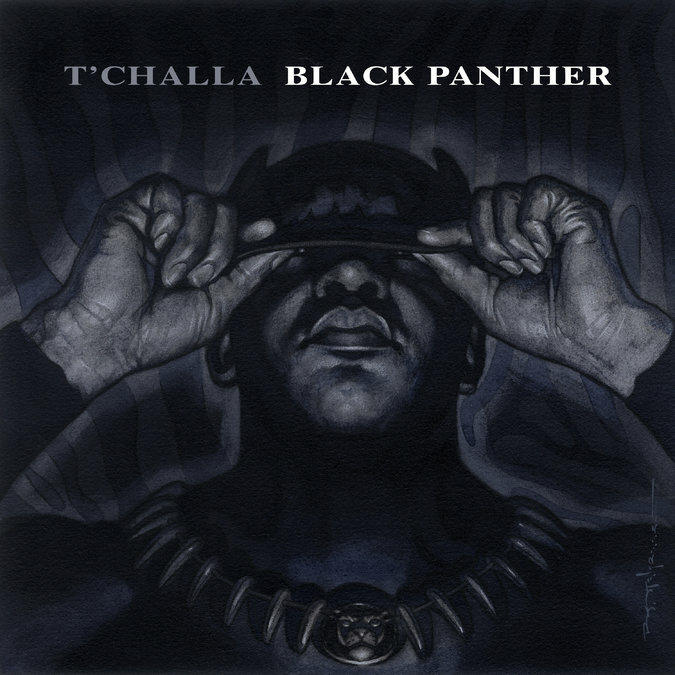 A man who sees himself as T'Challa's superior but with a vastly different vision for Wakanda.